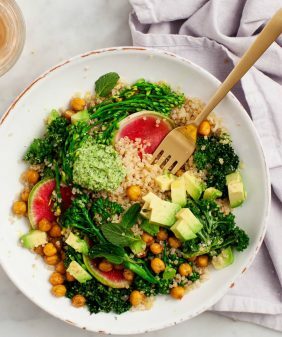 This very green salad couldn’t be more timely. Jack and I spent all weekend tasting inhaling food at the Austin Food & Wine fest. And then we spent last night in some sort of food coma. Overall, I think we showed pretty good restraint… That is until Saturday night’s “Rock your Taco” event. We rocked tacos alright… And then a few tacos rocked us. But no regrets… kale to the rescue. A big bowl of it. 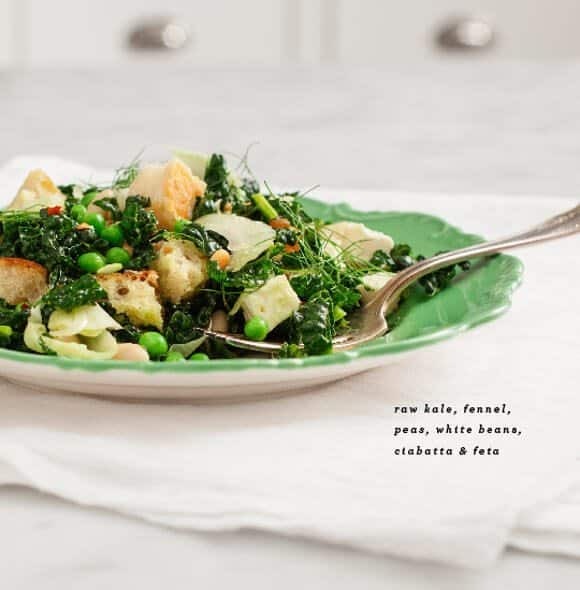 This salad is part marinated kale and part and panzanella. Two of my favorite salads, together as one. 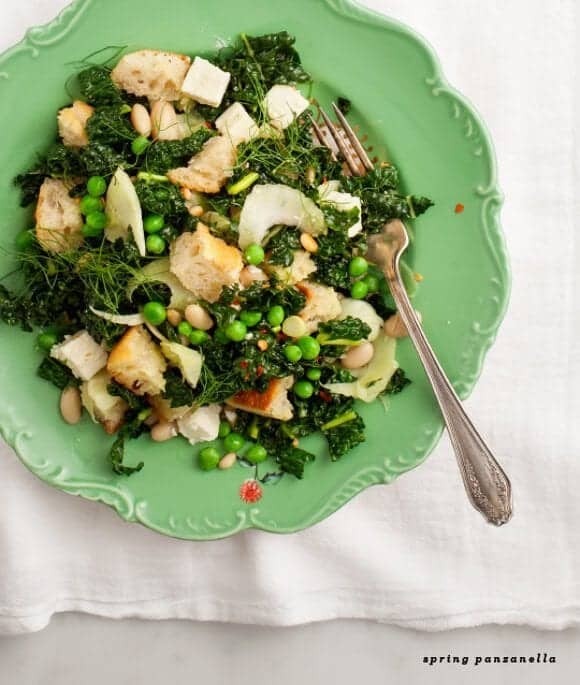 Kale, fennel slices, peas and feta are all tossed with a lemony dijon vinaigrette. With ciabatta cubes to soak it up. This is great as a light dinner on it’s own, or perfect alongside some grilled salmon. In a small bowl, whisk together the dressing. 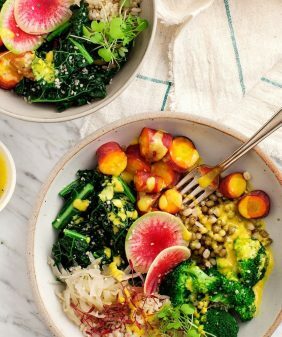 In a large bowl, place the kale and fennel. Pour in some of the dressing, and a bit of salt. Using your hands, massage the kale together with the dressing so that the coarse kale leaves become a bit tender. Toss in the fennel and white beans, and let that all marinate together for 15-30 minutes. Toss everything else into the bowl including the remainder of the dressing. Taste and adjust seasonings. This is best if you let it sit at room temp for 20 (or more) minutes. This sounds so good! I will have to make this over the summer for lunch. Awesome twist on a classic! Loving all the ingredients you added to this salad. Gorgeous, love that plate as well! Yum! Will veganize by omitting feta! 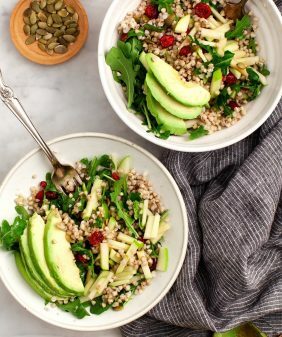 This salad looks so special – it’s just beautiful!!! Ingredients sound amazing together!!! So pretty!! Loving these ingredients! 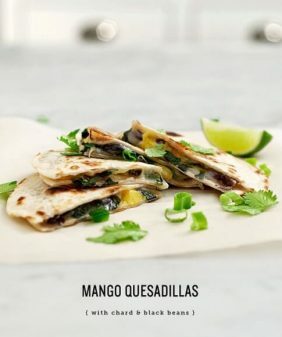 This recipe looks delicious! The addition of beans, nuts and cheese make this a complete meal. Wow! What a beautiful salad – I love all the textures!! You have so many of my favorite foods in there – feta, pine nuts, bread – – – I’ll have to try!! I really need to make some gluten-free bread and then not actually eat all of it, so I can finally make a panzanella. I have never had it and this looks incredible! Your weekend at the event looked amazing, I was following along on Instagram and was so drooling/jealous. It is like you read my mind. I was just making one of these spring panzanellas for my blog! Your version looks so healthy and tasty!! Love the kale! Perfect lunch! I’ve never thought to change up a traditional panzanella in this way, but really there’s no reason to only eat it in the summer. Sounds SO good. 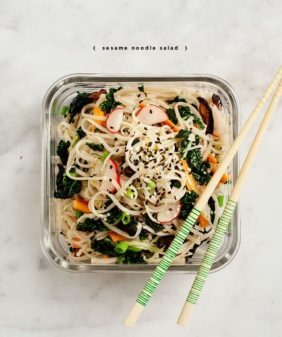 I’m always on the lookout for creative ways to use kale and this looks absolutely lovely 🙂 Going to have to give this a try soon…. 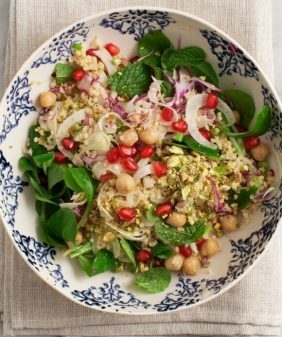 What a perfect-sounding salad and a really great balance of flavours. This sounds really amazing, Jeanine. And, I love the plate! I’m not sure I’ve seen you use that color before, but it looks gorgeous. Made this for dinner last night, it was amazing! Left out the peas and used ricotta salata instead of feta. We served it with grilled shrimp. Thanks for the unique idea!